​We all know there are important issue facing families today. 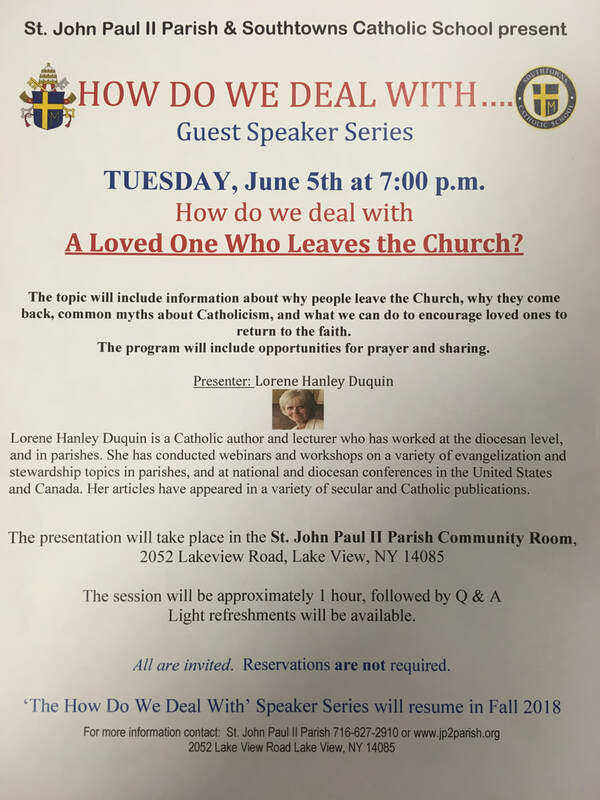 All are invited to learn how to deal with different issues during our Speaker Series in the St. John Paul II Parish Community Room. Below is a flyer describing the next event. How to deal with .......A Loved One Who Leaves the Church?